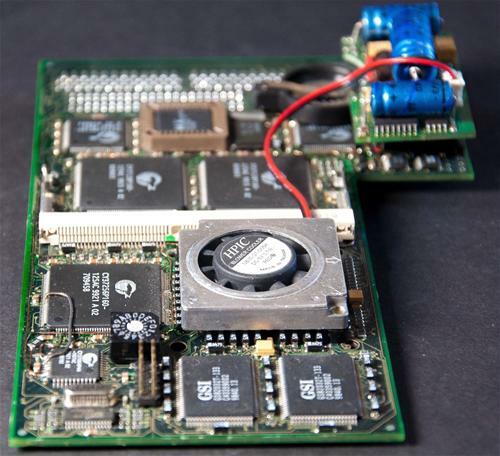 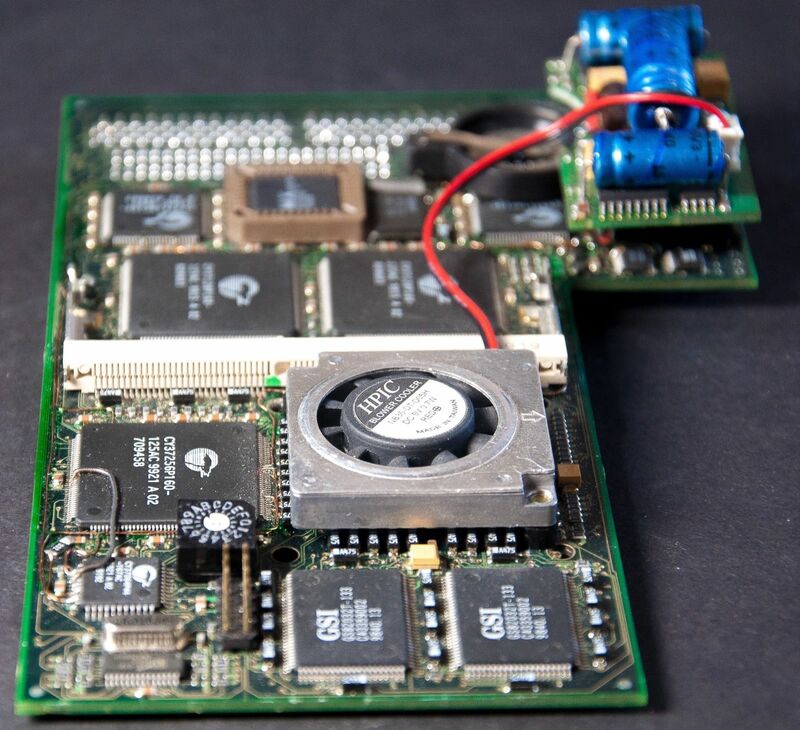 This card was intended to be a competing product to the Blizzard PPC from Phase 5, offering vast performance increases via the use of the PowerPC processor, providing that applications were written for it. It is not certain whether this card was intended to be compatible with existing PowerUp or WarpUp software, but it's likely it would have been. Unfortunately, the card was never released although prototypes were built. 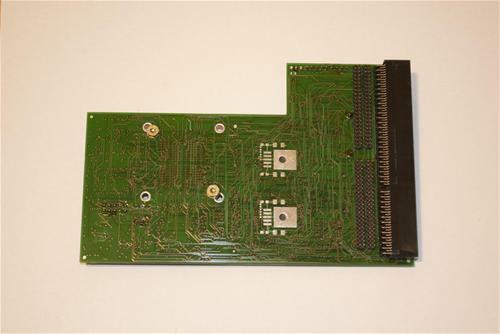 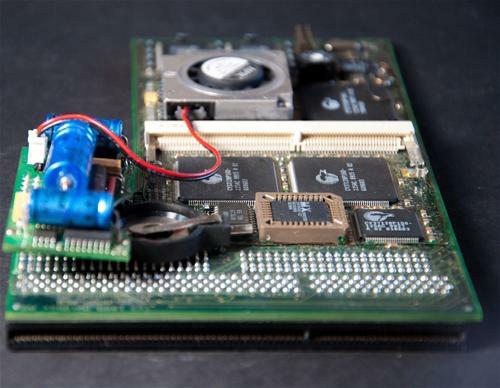 Unlike the Phase 5 offering, this card did not make use of a real 68k series processor such as an 040 or 060 to provide compatibility with 68k software but relied on an emulation layer. 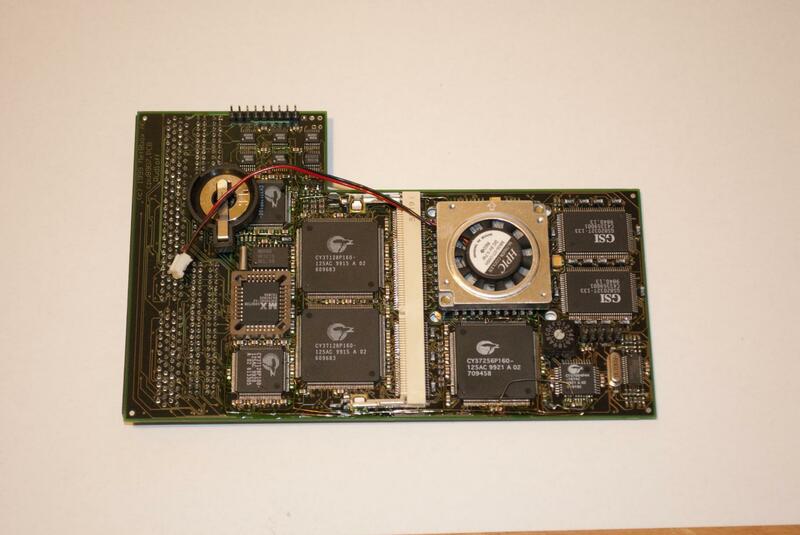 Boards fitted with the 250Mhz and 333Mhz processors had 512K of level 2 cache whilst the 333Mhz and 400Mhz versions had 1MB of level 2 cache. 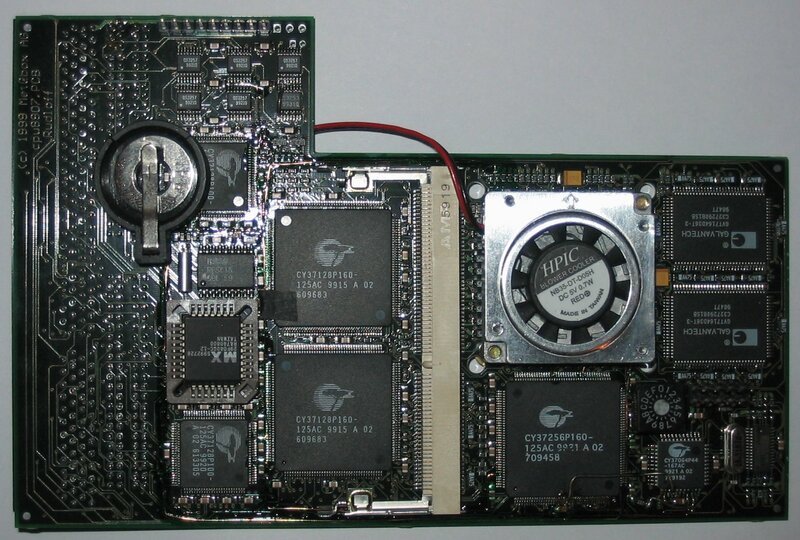 The card also included a real time battery backed-up clock. 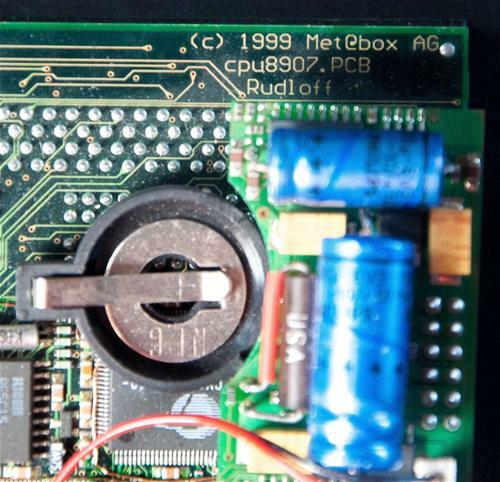 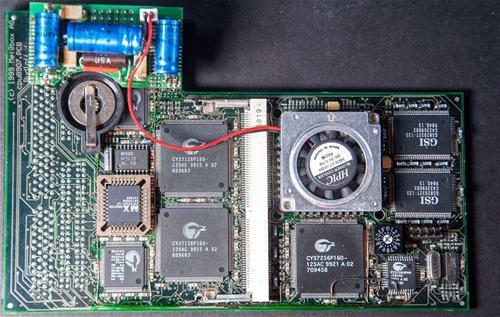 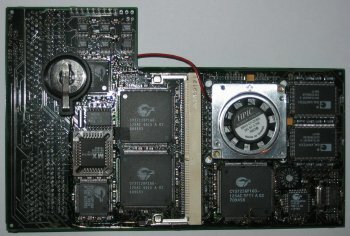 An IDE connector and a mini-PCI connector were also planned for the card. 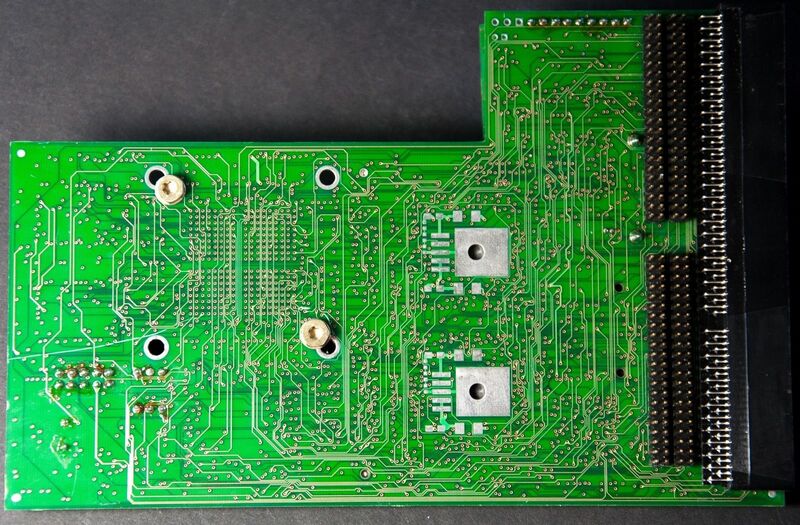 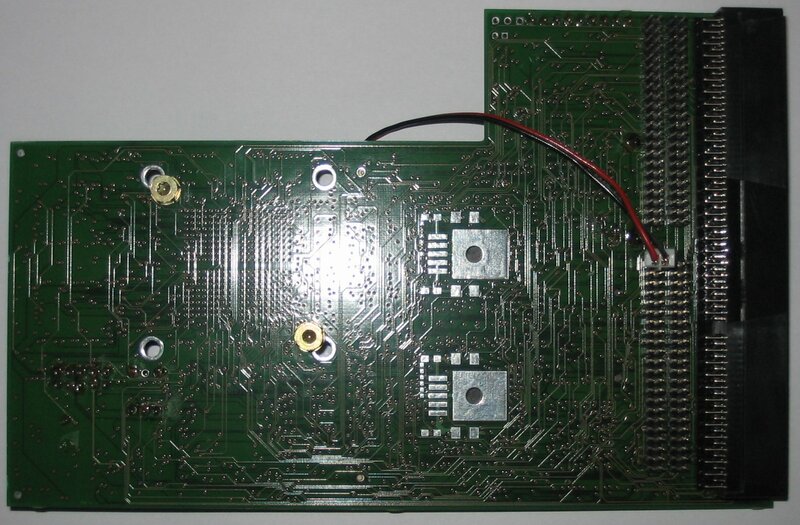 The headers exist on the PCB, although no pins are fitted. Apparently the AmiJoe was loosely based on the JoeCard accelerators for the Apple Macs as Met@box were primarily a Mac company. 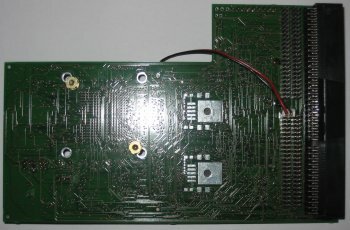 Page contributors: Eugeny Davidov, Jan Pedersen, Tristan Schäff.